BSkyB has retained the majority of the rights to broadcast live coverage of the Barclays Premier League, while BT has beaten ESPN to the final two packages, netting the league £3.02bn. The value of the rights, which cover the three seasons from 2013/14, has surged by 71% since the current three-year deal, which brought in £1.76bn. Sky has secured five of the seven packages totalling 116 matches a season while BT has secured the 38 matches in packages A and G. BT's rights include 18 first picks, around half of those available. Sky will pay £760m a year, up from the £542.7m it currently pays for 115 games a season, making for a three-year outlay of £2.28bn. BT will pay £246m a year or £738m over three years. Jeremy Darroch, chief executive of Sky, said his company had secured the rights it wanted. He added: "Whilst the cost is higher, we have capacity for this increase through the combination of excellent work on cost efficiency across the business and choices over other future spending. "As a result, we remain confident of delivering our financial plans, in line with our expectations, unchanged, in each year of the new deal." BT said it would launch a new football-focused channel to carry the games. The channel will offer new interactive features when supplied over BT’s fibre network and BT will aim to distribute the channel on other platforms. 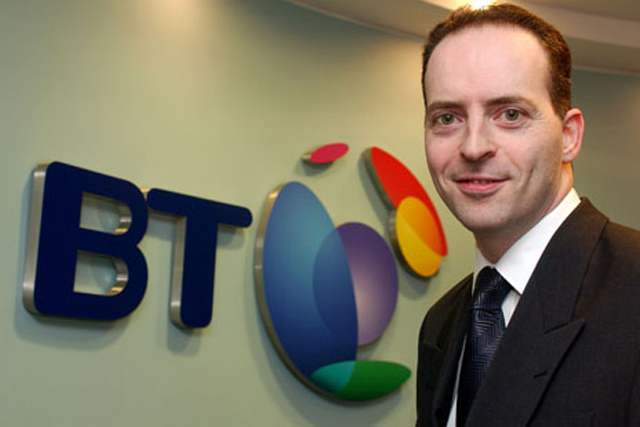 Ian Livingston, chief executive of BT, said: "BT is already investing £2.5bn in fibre broadband. Securing Premier League rights fits naturally with this, as consumers increasingly want to buy their broadband and entertainment services from a single provider." BT's move comes six years after the launch of its TV via internet service BT Vision, which has grown slowly to a customer base of just over 700,000 subscribers. Richard Scudamore, chief executive of the Premier League, said: "The continuing support of BSkyB for Premier League football is significant beyond the revenues delivered; the longevity and quality of their commitment has done much for the English game as a whole. "We welcome BT as a new Premier League broadcast partner. They are a substantial British company that is at the leading edge of technology and infra-structure development. They are clearly investing in quality content to use on their platforms and when combined with the reach and pull of Premier League football they will deliver new ways in which fans will be able to follow the competition." Disney-owned ESPN first won broadcast rights to the Premier League in June 2009 when it secured 46 games for the 2009/10 season and 23 games for the three seasons from 2010/11, following the demise of Setanta. An ESPN spokesman said: "We made a strong bid that reflected the value of the rights to our business, and we thank the Premier League for the chance to participate. "We’re looking forward to continuing our Premier League coverage next season, and continuing to serve fans with great live sports events and programming including the FA Cup, Europa League, Scottish Premier League, Serie A, Premiership Rugby, Top 14, golf, darts, UFC, NBA and much more."